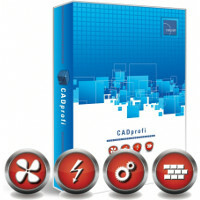 Parametric CAD-application facilitating architectural project design. 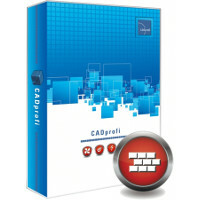 The Architectural module can be used to create construction plans, cross-sections and elevation views. The application’s convenient functions facilitate drawing composite walls, architectural dimensioning and the quick creation of drawing descriptions. The module comes with a comprehensive library of windows, doors, furniture and other furnishing objects. As a unique feature, the application can be used to design emergency escape plans and routes.